Chronic kidney disease (CKD) is being increasingly recognized in children, especially prevalent in those who recover from serious illness. The ability to recognize the pathophysiological conditions that predispose to renal parenchymal damage or disorders and the application of preventive measures or institution of ameliorating therapy may lessen the burden of the parenchymal damage leading to CKD. These measures include antenatal immunization, antenatal diagnosis, fetal surgical interventions and postnatal screening procedures for proteinuria, hypertension, dyslipidemia and prevention of obesity - all of which could play a significant role in the prevention of CKD or its progression to end stage renal disease. Background: Detection of antiphospholipid antibodies in patients with lupus nephritis is useful not only to identify patients at a risk for vascular and obstetric manifestations but also for their potential deleterious impact on renal outcome. Materials and Methods: 50 patients who met the American Rheumatology Association criteria for systemic lupus erythematosus (SLE) and (under suspicion of lupus nephritis) qualified for renal biopsy were enrolled into this observational study. In addition to the standard protocol of investigations in SLE, anticardiolipin antibody (aCL) status was determined during the initial workup and was confirmed after 6 weeks. 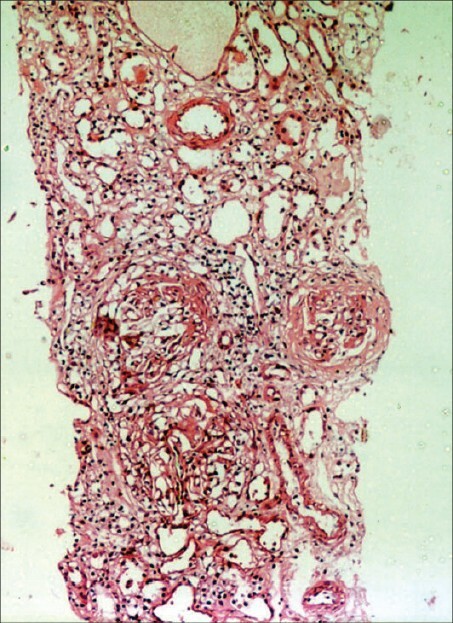 Renal biopsy was studied by a senior experienced pathologist. 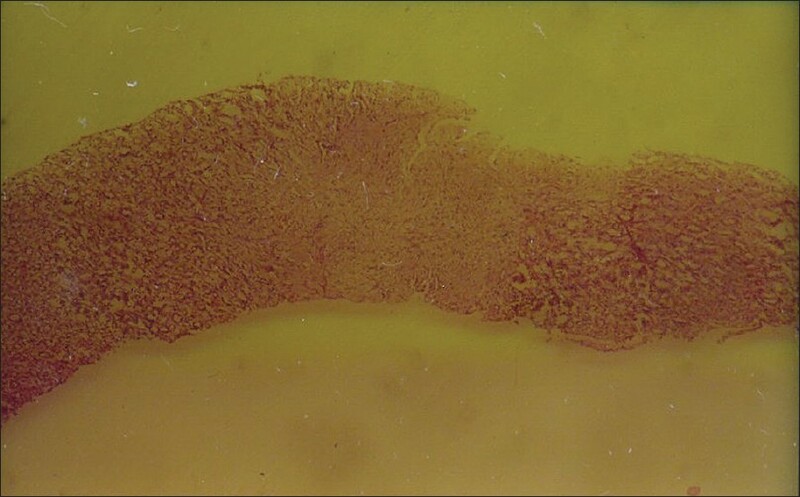 In addition to the WHO class discrete histological markers of morbidity such as capillary thickening, hyaline thrombi, crescent and wire-loop formation, interstitial fibrosis and tubular atrophy were studied. Hypocomplementemia, urine analysis and renal function tests were also compared between aCL+ and aCL- patients. Results: 58% of the patients were aCL+ according to a standard ELISA estimation. Antiphospholipid Syndrome Nephropathy (APSN) was detected in 4 out of 28 aCL+ patients ( P = 0.4). There was no difference in the SLE Disease Activity Index (SLEDAI) scores between the two groups. There was evidence of persistent hypocomplementemia (C3 or C3 and C4) at the end of 6 months on therapy in aCL+ patients. ( P = 0.008). 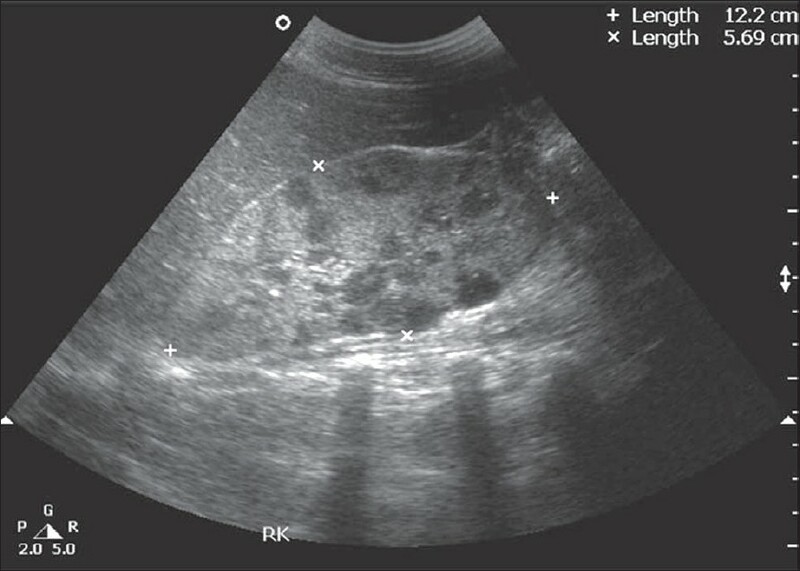 This significance was not attained in terms of azotemia, active urinary sediments or proteinuria. There was no difference in WHO (or RPS) class prevalence and calculated activity and chronicity scores. However, there was a greater incidence of capillary thickening ( P = 0.08), interstitial fibrosis ( P = 0.019) and tubular atrophy ( P = 0.052) in aCL+ patients as opposed to the quantitative score assessment using the activity and chronicity indices. Conclusions: Hypocomplementemia is the only probable marker of renal morbidity in the laboratory follow-up of the SLE patients. aCL positivity does contribute to greater incidence of interstitial fibrosis, tubular atrophy and capillary wall thickening in biopsy specimens. APSN is an independent entity that must be specifically sought for on histological assessment. Background: The rapid loss of bone mass density occurs immediately after transplantation; this contributes to an increased risk for osteoporosis and fractures. The prevention and management of bone loss after renal transplantation is not elucidated thus far. The purpose of this study was to investigate whether the initiation of alendronate therapy immediately after transplantation can prevent bone loss and also to assess its safety on graft function and serum cyclosporine level. Materials and Methods: We conducted our study on 50 patients and randomly divided them into two groups: alendronate treatment group ( n = 25) and placebo group ( n = 25). Bone mineral density (BMD) of lumbar and femoral neck was measured using dual-energy X-ray absorptiometry prior to transplantation and after 6 months. The graft function was assessed by measuring the serum creatinine level and the serum cyclosporine trough level, which was measured by radioimmunoassay every 2 months until the end of the study. Results: The BMD in patients treated with alendronate increased significantly both at the lumbar vertebrae and femoral neck, while it decreased in the placebo group. The changes in the serum cyclosporine levels were independent of alendronate or placebo within 6 months after transplant. The graft function was similar between the groups. Conculsion: Alendronate was effective as well as safe for prophylaxis of rapid bone loss after renal transplantation. 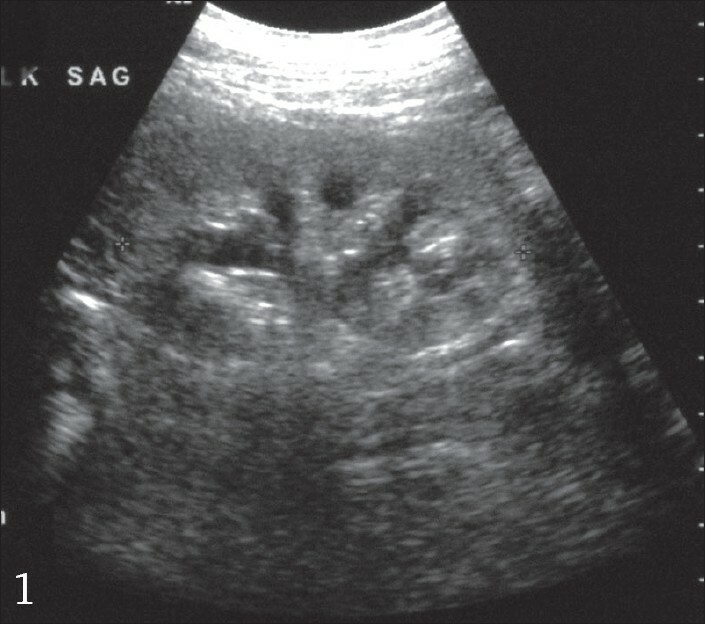 Fournier's gangrene is an uncommon infection of the genital, perineal and perianal regions. The infection is both dramatic in nature and highly lethal in course. The mortality of the disease is high, despite the advancements in management. Multiorgan dysfunction is one of the predictors of severity and mortality of the disease. 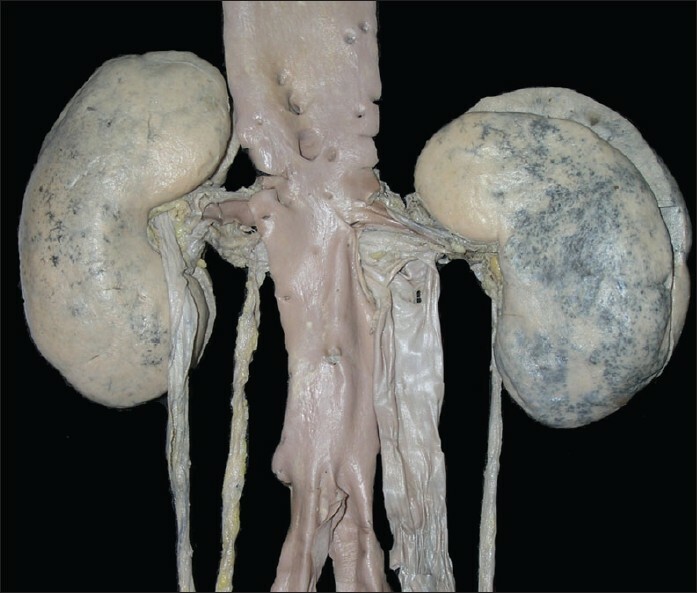 The association of acute renal failure and Fournier's gangrene is not often discussed; hence, this study is being presented. This study comprised of six patients presented with Fournier gangrene and associated acute renal failure. Rapamycin is increasingly being used as calcineurin-inhibitor-sparing immunosuppressive drug. We report a case who presented with fever, breathlessness and bilateral crackles in the chest 6 weeks after administering rapamycin. 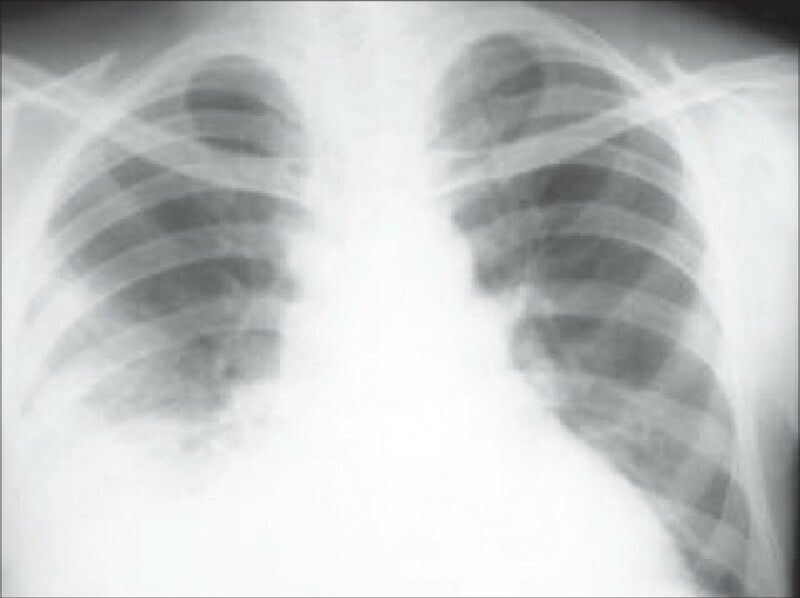 Chest skiagram showed right-sided pneumonitis and bronchoalveolar lavage was negative for infective pathogens. He did not respond to antibiotics; while administering antibiotics, he also developed left-sided pneumonitis. Rapamycin withdrawal promptly brought clinical and radiological response. 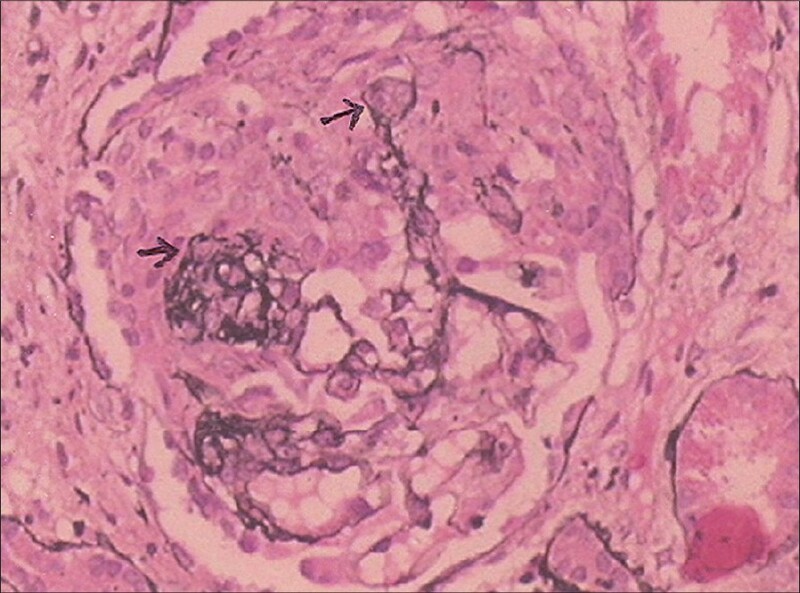 Patients with collapsing glomerulopathy usually present with severe nephrotic syndrome and rapid progression to end-stage renal disease. Remissions are extremely rare. We report a case of idiopathic collapsing glomerulopathy who had spontaneous partial remission. The vasculitic syndromes of Wegeners granulomatosis, microscopic polyangitis, Churg-Strauss syndrome and renal limited variants are associated with antineutrophil cytoplasmic antibodies (ANCA). Positive ANCA are also seen in many viral infections, inflammatory bowel diseases and drugs. Drug-induced ANCA-associated renal disease is reported less frequently than drug-induced lupus nephritis. ANCA-positive crescentic glomerulonephritis due to propylthiouracil has been reported in children and adults especially in Japanese population. The renal outcome is better in propylthiouracil-associated ANCA-positive crescentic GN as compared with nondrug-induced crescentic GN. Propylthiouracil-associated ANCA-positive crescentic GN may or may not require steroid and cytotoxic therapy depending on the severity of renal failure. We report a case of propylthiouracil-associated ANCA-positive crescentic GN with severe renal failure; the renal function improved after steroid and cytotoxic therapy. We present an 11-year-old girl with Senior-Loken syndrome, a rare familial syndrome of retinopathy and nephronophthisis. The patient presented to us with renal insufficiency. There was a strong family history of renal and ocular involvement. This is the first report of this syndrome from the Arabian peninsula. Calciphylaxis, better known as calcific uremic arteriolopathy at present, is a relatively uncommon condition characterized by small vessel calcification and occlusion with resultant painful violaceous skin lesions that typically ulcerate to form nonhealing gangrenous ulcers. The mortality of the disease is very high mainly due to sepsis from superinfection. This syndrome is usually observed in diabetic patients with low bone turnover having low parathyroid hormone. Use of noncalcium containing phosphate binders along with the care of the affected part is helpful in the overall recovery.